Here we are, ten days into December, and I’m still blogging. Yes, even I am shocked, but it’s been so fun! I’ve been having the best time featuring some of Chicago’s best bloggers on Dining at my Desk! Today we have Hilary of Embellishmints, with an amazing white chocolate crunch Christmas popcorn. With very few ingredients required, this should be an easy and pretty snack to have for your holiday guests. Thanks to Hilary for this awesome recipe. Visit her awesome blog, Embellishints, for the full recipe, and enjoy! Averie Cooks has been one of my favorite blogs for…just about forever now, but oddly enough, I’ve never made anything from her site. But I sure do like to look – look and wonder how she gets the most amazing-looking cookies ever. 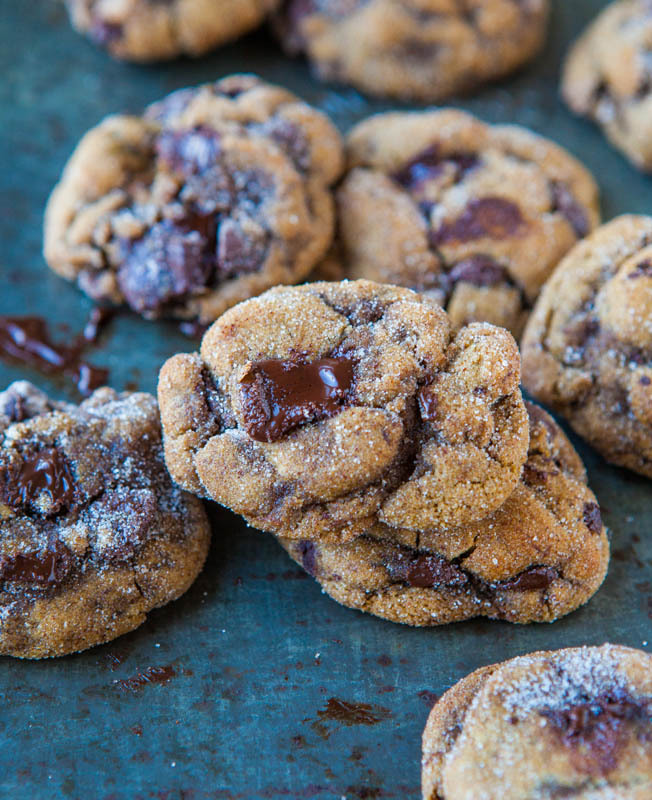 Seriously, her cookies are so beautiful! 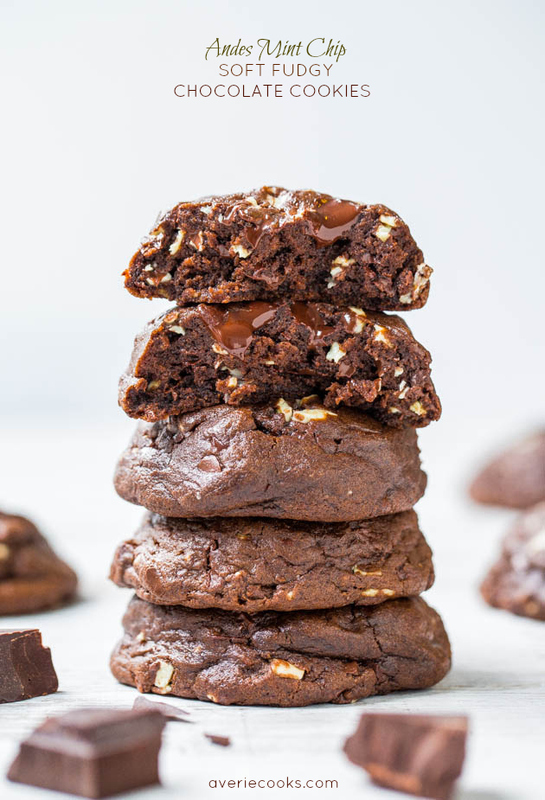 For all 25 cookie recipes, please visit the original post on Averie Cooks. Images courtesy of Averie Cooks. Ok, I must admit, I’m not a huge fan of holiday Oreos. I think the Christmas ones and the Halloween ones are just kind of strange. Oreo filling should be white and double-stuffed. However, when holiday Oreos are mixed in solid chocolate with a bunch of candy…well, now that’s something I can definitely get behind. 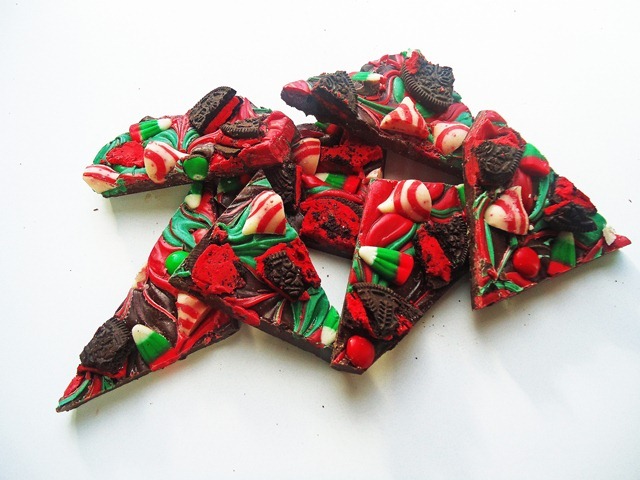 Today’s recipe for Christmas Candy Bark comes to us from the Gingerbread Bagels blog. It looks truly festive and delicious, and would look cute in a jar as a Christmas gift. Measure out the candy. Cut the Candy Cane Hershey Kisses in half and the Christmas Oreos in half. Set the candy aside. Lay out a piece of parchment paper. You’ll use this to make the Christmas Candy Bark on. Put 8 ounces of semi sweet chocolate chips and 8 ounces of milk chocolate chips in a microwavable bowl. Melt the chocolate but be careful not to overheat the chocolate. Spread the melted chocolate onto the parchment paper into an 8 by 11 rectangle. Don’t worry if it’s not perfect. Melt the red candy melts in a microwavable bowl. Place dots of the melted red candy melts on top of the melted chocolate. Melt the green candy melts in a microwavable bowl. Place dots of the melted green candy melts on top of the melted chocolate. Using a knife, swirl the candy melts and chocolate up and down. Then swirl the candy melts and chocolate back and forth. 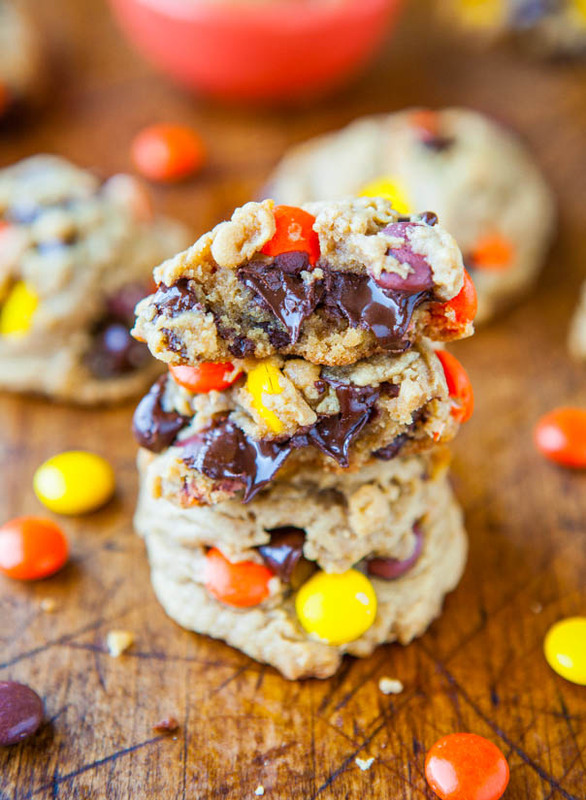 Place the candy and cookies on the melted chocolate. Press down lightly. Allow the Christmas Candy Bark to dry for at least 3 hours. Cut into pieces and enjoy! For step-by-step photos, visit Gingerbread Bagels.